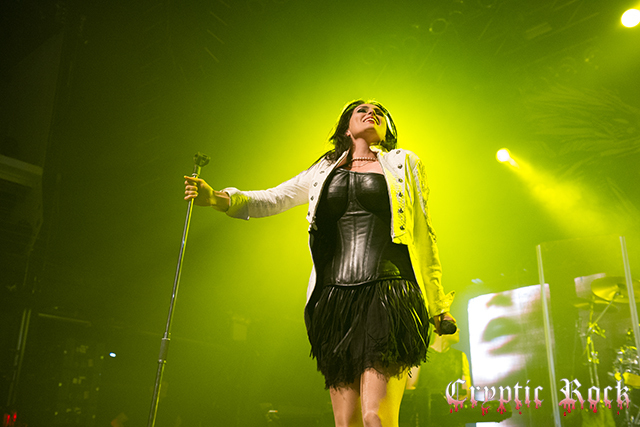 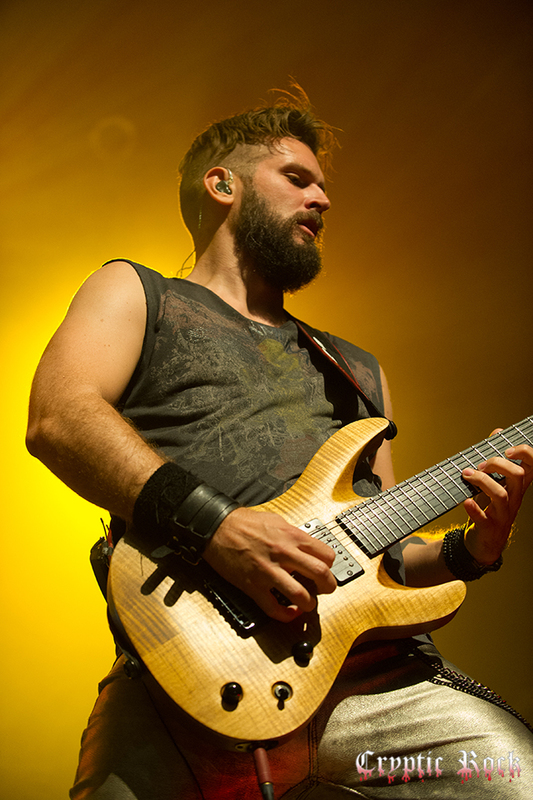 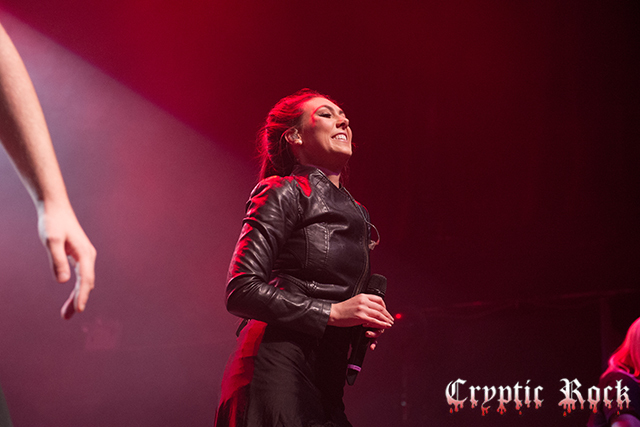 It was back in early 2013 that Dutch Metal band Within Temptation announced their plans for a worldwide tour. 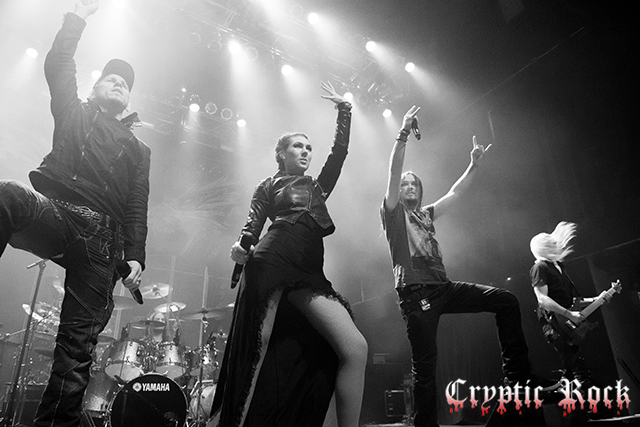 Releasing their sixth studio album, Hydra, in the early part of 2014, the month long North American leg of the tour began on September 25th on the West Coast and concluded October 11th on the East Coast. 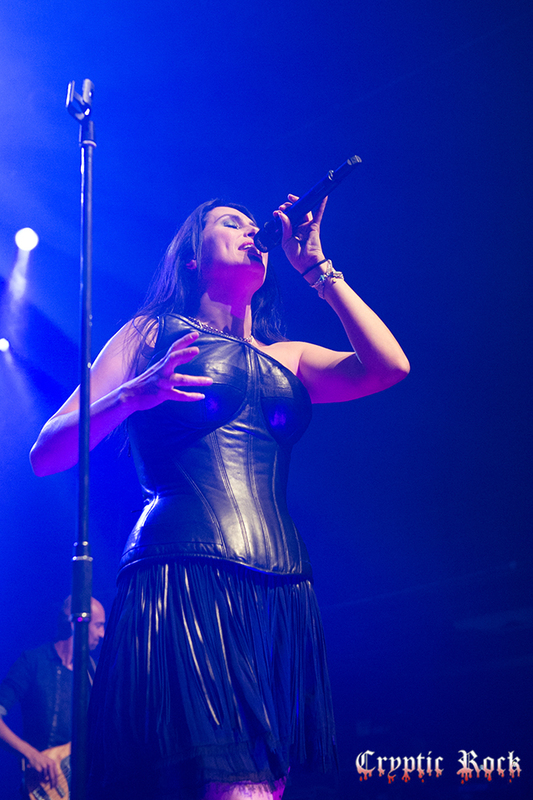 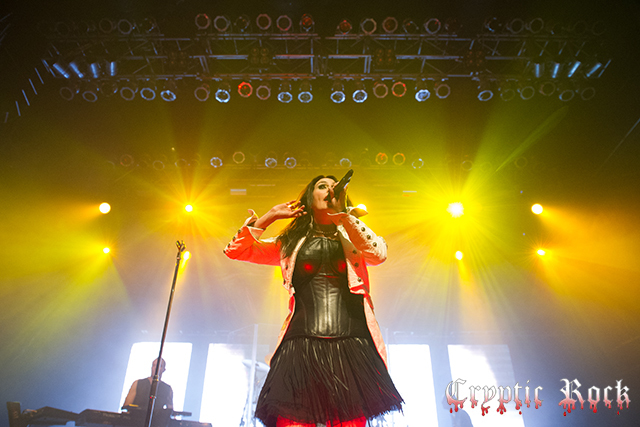 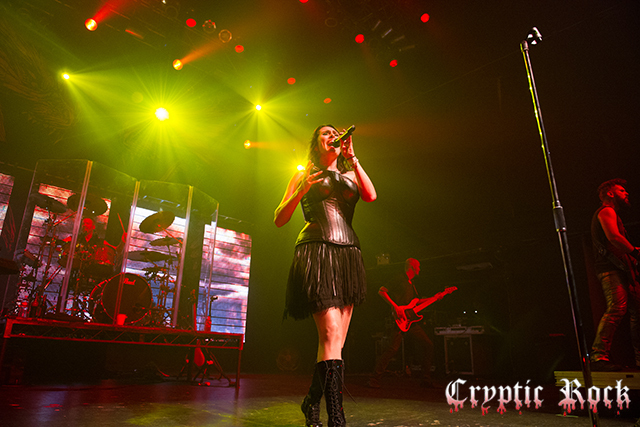 Marking their return for the first time in three years, vocalist Sharon den Adel, in anticipation for the tour, stated, “It’s a great feeling that after so many years we are back with a coast to coast tour.” Indeed the feeling is mutual between fans and the band as ticket sales jump-started as soon as the dates were announced. 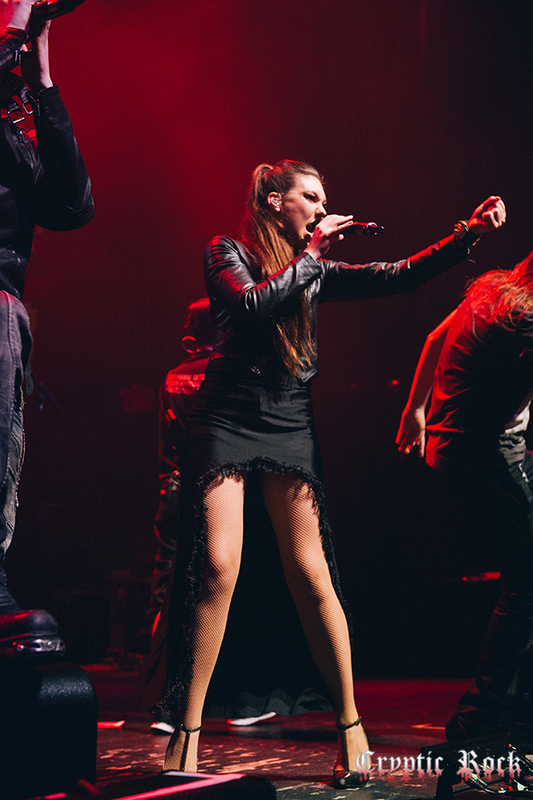 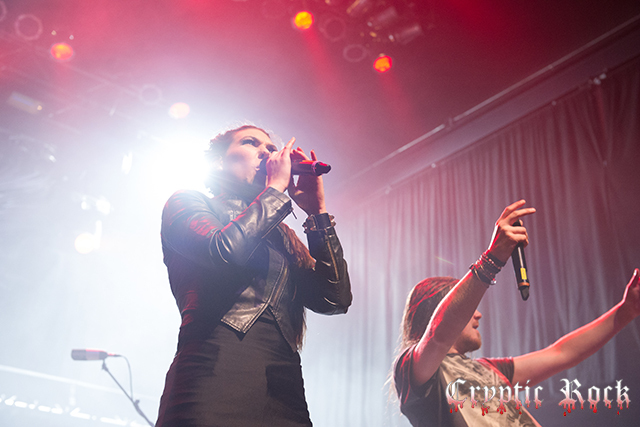 Taking along Swedish Amaranthe, the tour dropped into New York City on Friday October 10th at Terminal 5 for an evening full of excitement. 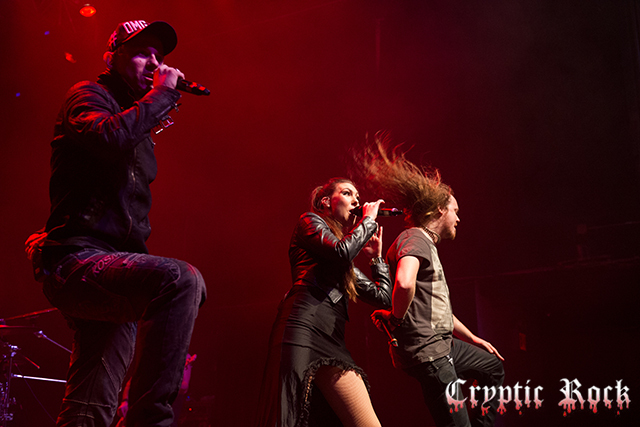 Everyone piled in from the busy streets surrounding the venue early to make sure not to miss Amaranthe. 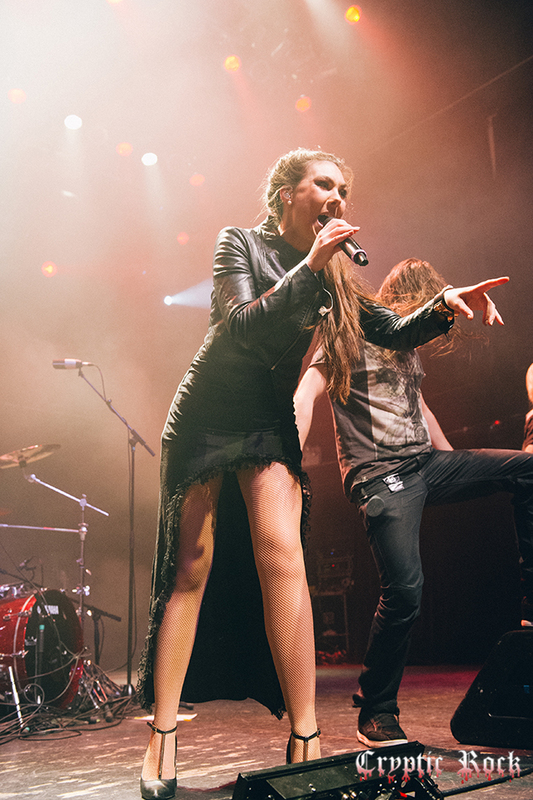 Headlining their first tour on North American soil back in 2013, in support of their album Nexus, Amaranthe left quite an impression, making this another reunion welcomed with open arms. 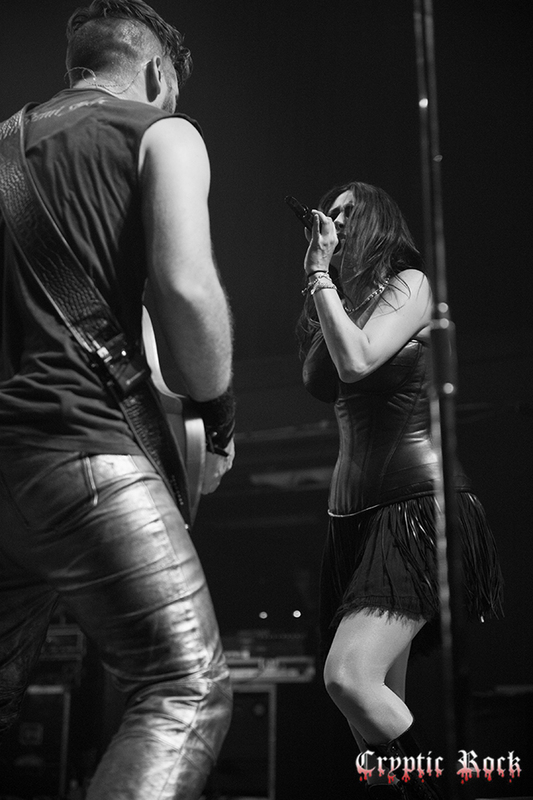 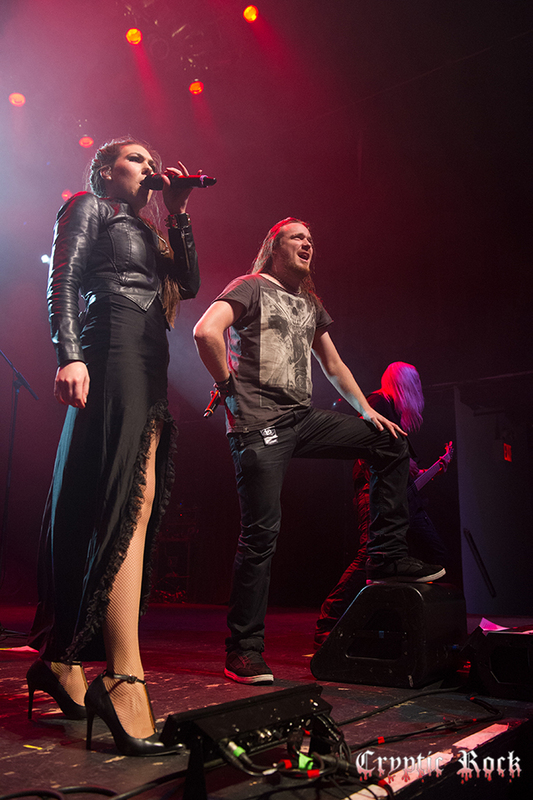 Set to release their second album in two years, Massive Addictive, Amaranthe brought a rush of enthusiasm to the stage as they began with dance-like song “Digital World.” Led by vocalist Henrik Englund and Elize Ryd, the mood was upbeat, heavy, and overall powerful. 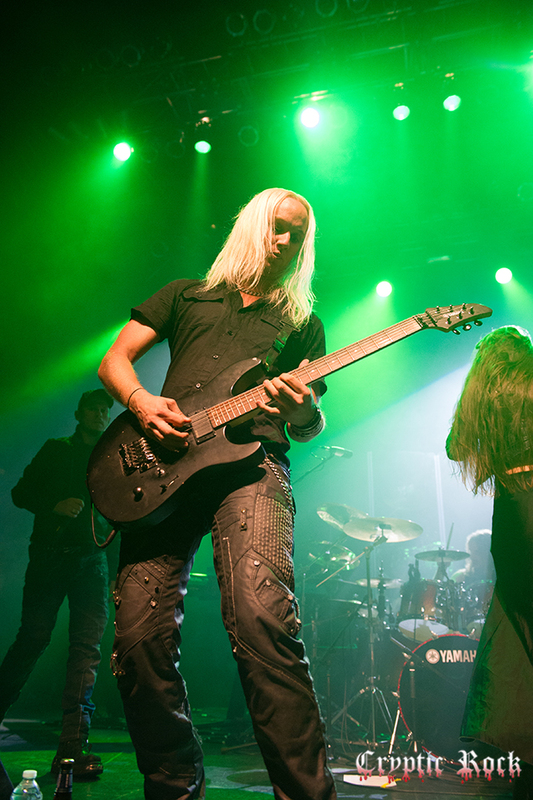 Mixing in older material such as “Hunger” and “1.000.000 Lightyears,” among “Invincible,” the marriage of Ryd, Englund, and Jake E’s voices with razor sharp guitar/key work of Olof Mörck was outstanding. 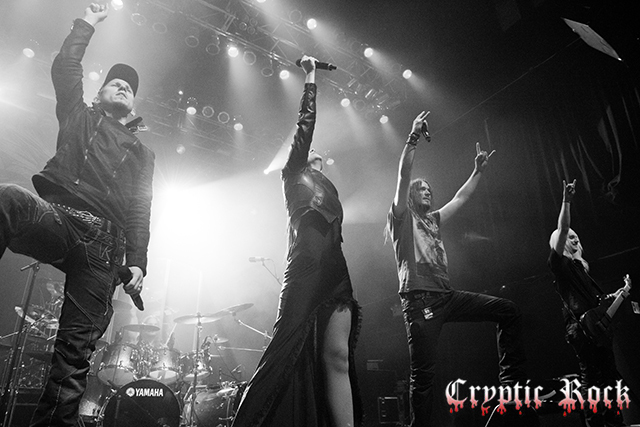 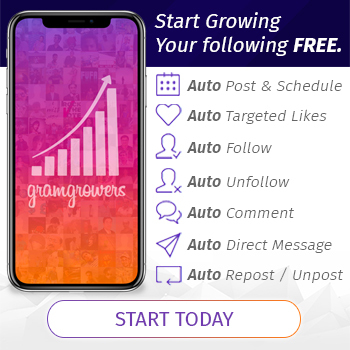 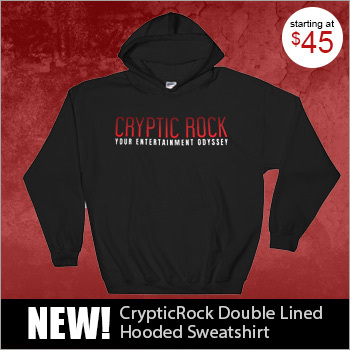 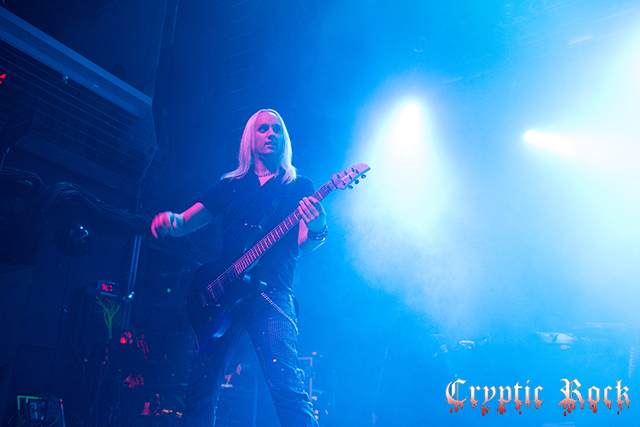 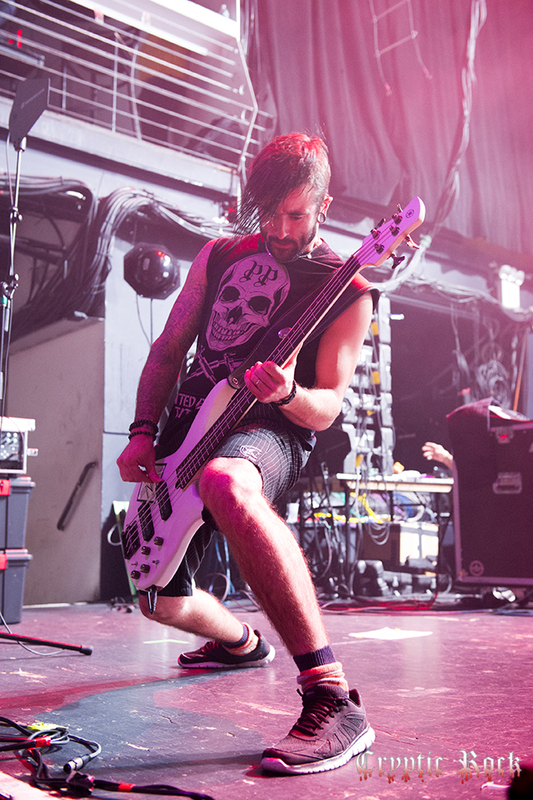 Knowing exactly how to keep the crow moving, their wonderful mix of Pop and Metal melodies shined bright and tracks like “Afterlife ” and “Amaranthine” kept it coming. 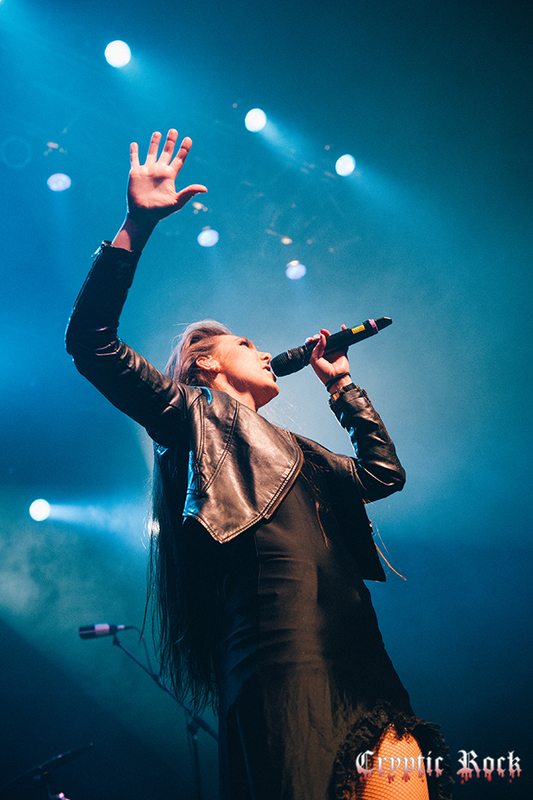 Witnessing the wave of praise coming from the floor and rafters of Terminal 5, the band professed their love for NYC and how happy they were to be back. 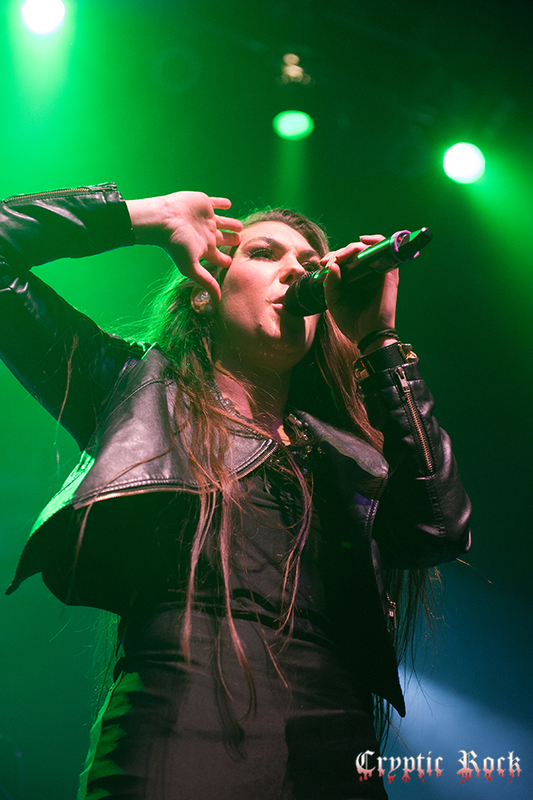 Closing out their ten song set with “Call Out My Name,” latest single ” Drop Dead Cynical,” and crowd rousing “The Nexus,” Amaranthe pulled of a performance for the ages. 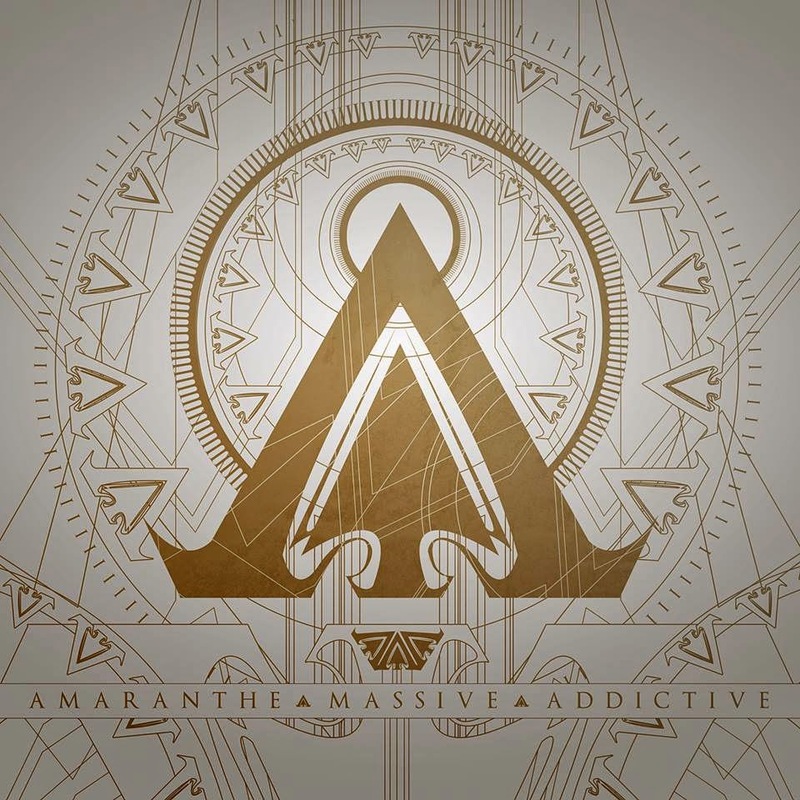 Their latest album Massive Addictive is out now, showing the band’s further growth as they climb to leaders of international Metal. 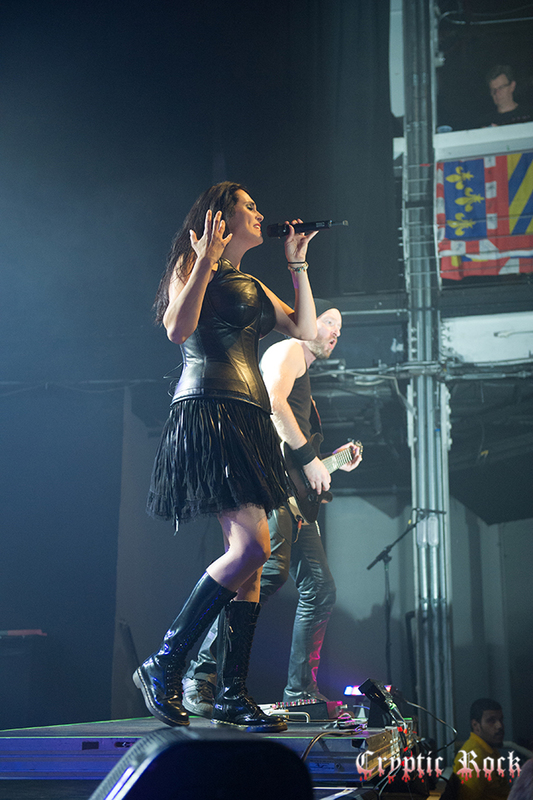 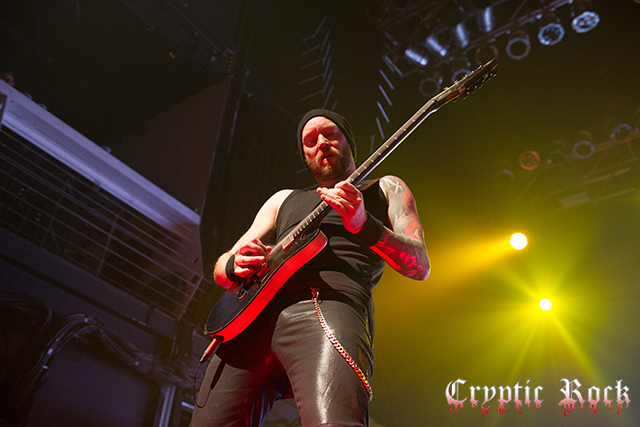 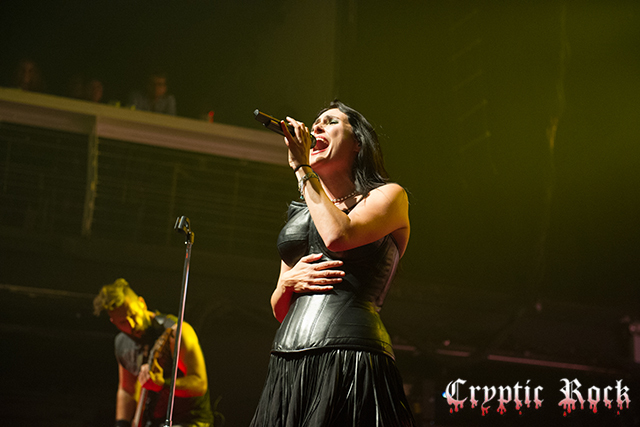 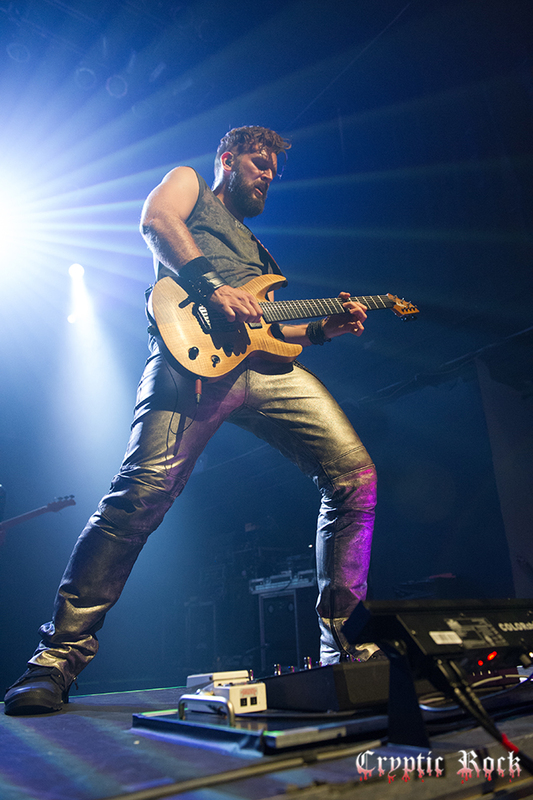 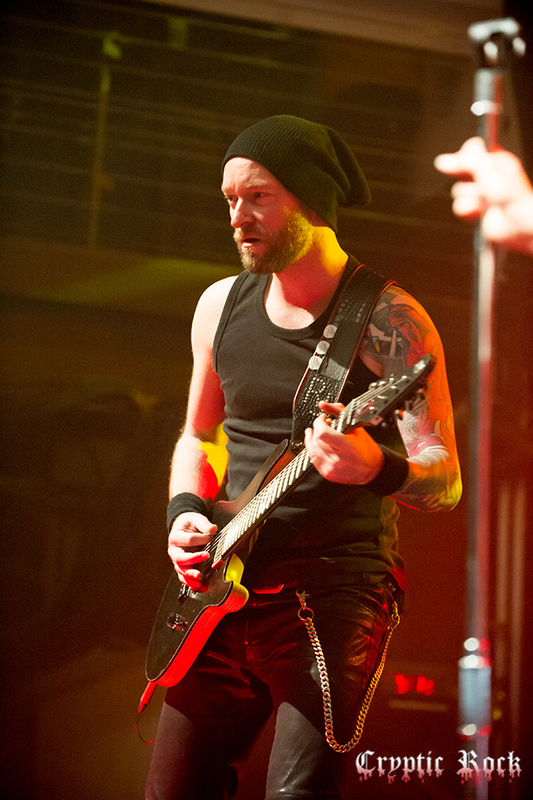 With attendees from all corners of the globe gathering in the melting pot of NYC, it seemed a variety of countries were represented at Terminal 5 in support of Within Temptation’s return. 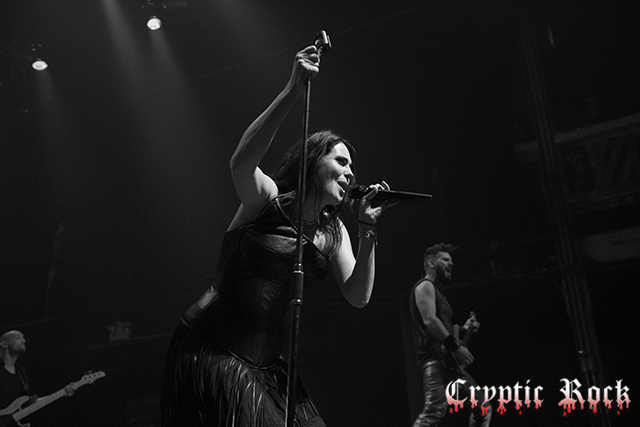 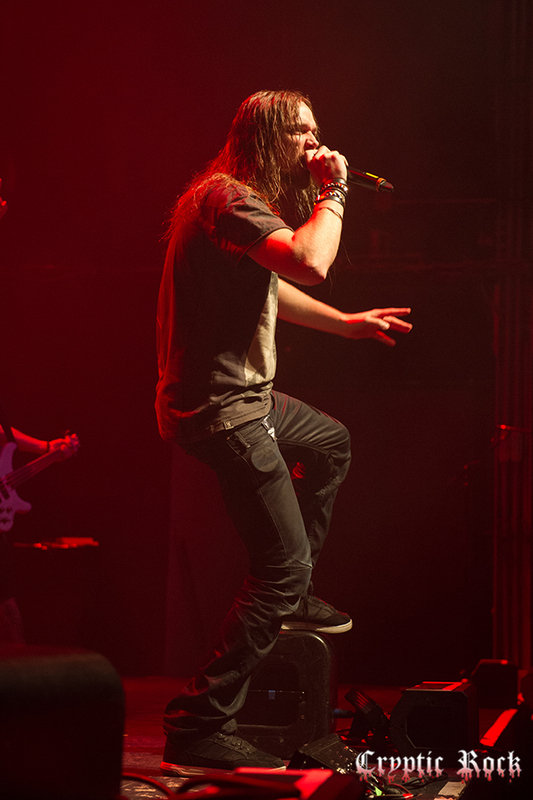 With their last appearance in NYC back in September of 2011 being at Terminal 5, this time the crowd was equally as amped up with little room to move on all three levels of the venue. 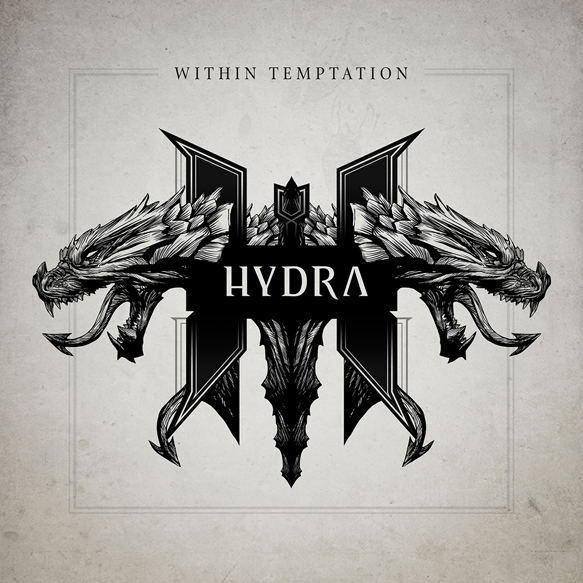 Always known as a band that defy stereotypes in the genre, Within Temptation exhibited their most daring album with Hydra, proving they are not afraid to expand their horizons to the full extent. 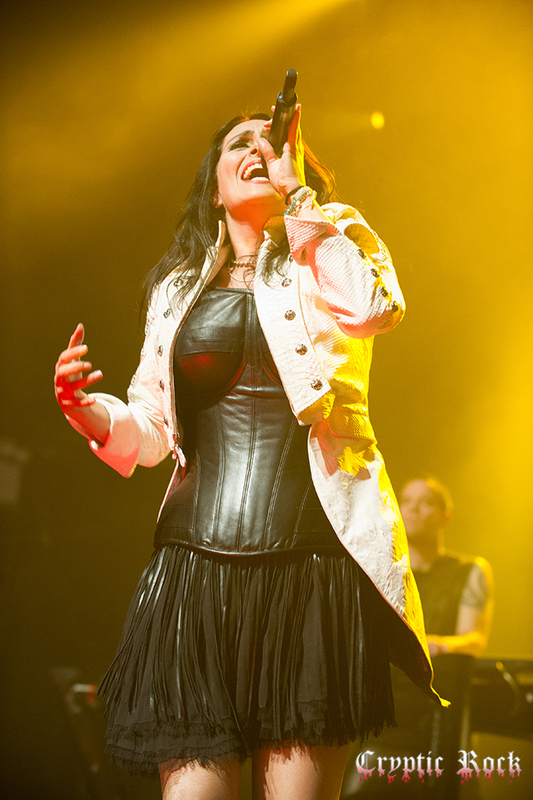 As a band which has been around for nearly two decade,s that is an enduring quality fans have come to love and something North American audiences began to embrace in 2007 with the breakout album The Heart of Everything. 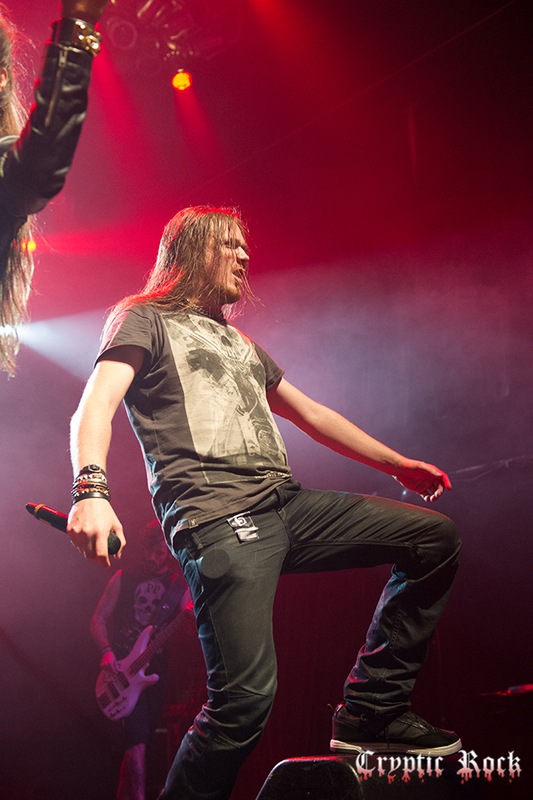 Veterans to their craft, the cast led by den Adel (vocals), Jeroen van Veen (bass), Ruud Jolie (guitar), Martijn Spierenburg (keyboards), Mike Coolen (drums), and Stefan Helleblad (guitar) were ready to take the stage once again. 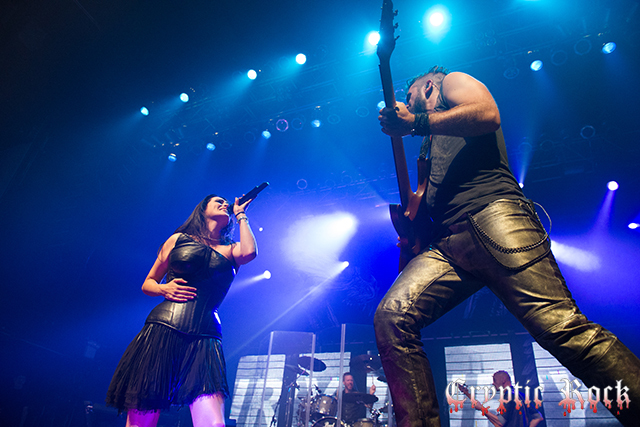 It is not very often a band can provoke such a range of emotions as Within Temptation. 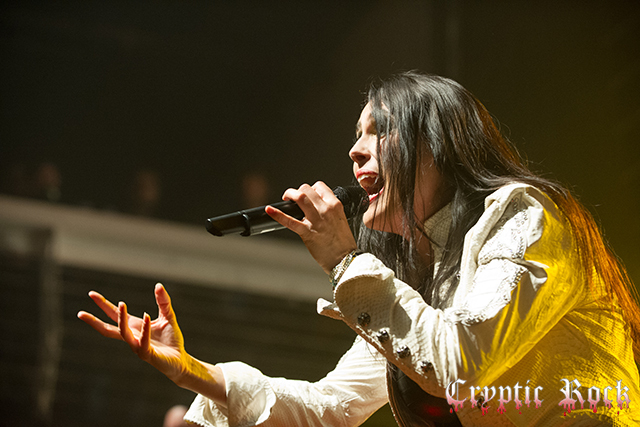 Their ability to recapture all the symphonic elements of their music in a live setting while emphasizing the importance of the lyrical composition is outstanding. 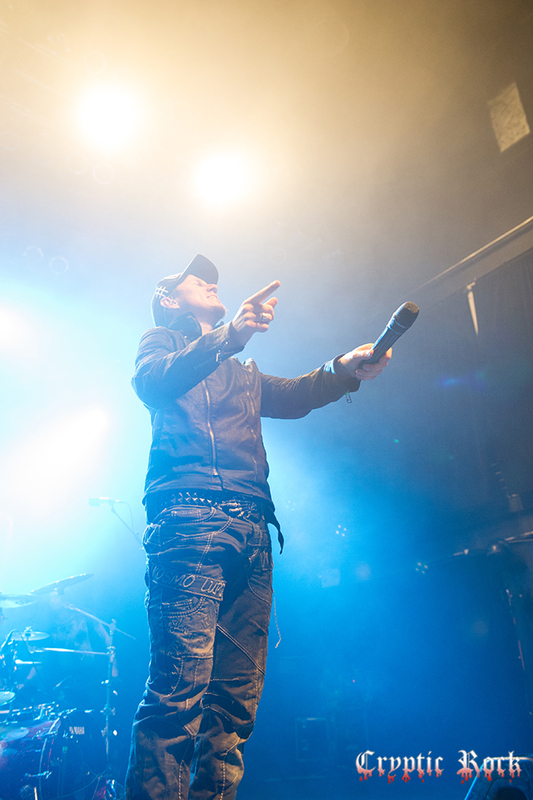 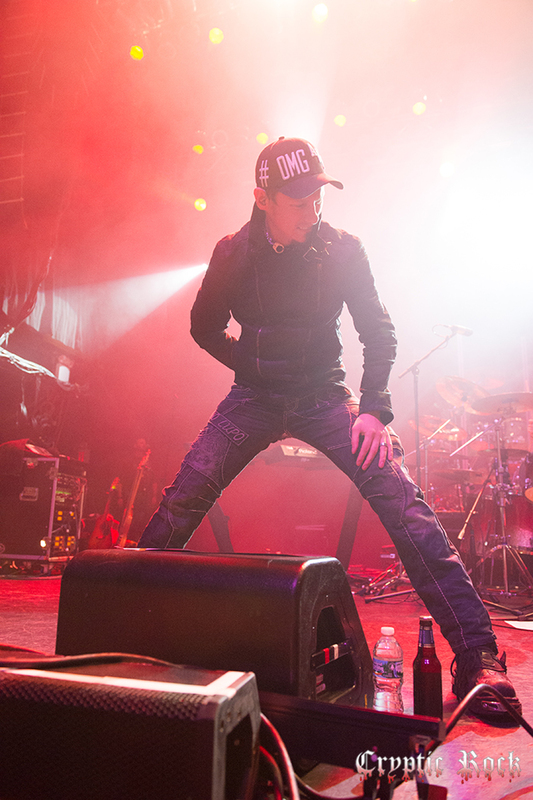 While this touring cycle has come and gone, there is hope that the band will return sooner than later to North America for more moving performances.